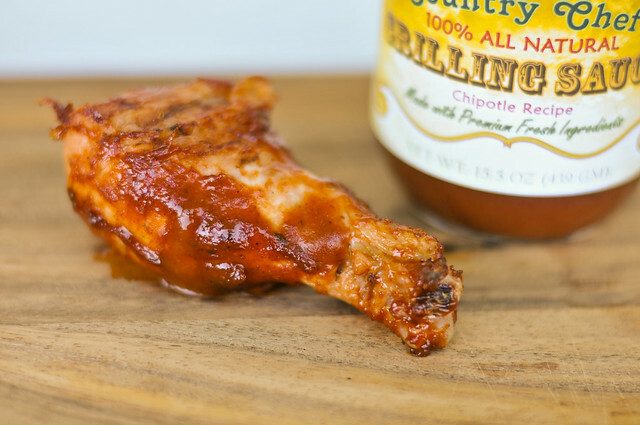 Chipotles add a faint smokiness and heat to the natural, fresh flavors that define the line of Country Chef sauces. This is the second sauce in a line of six that Chef Mike Espey kindly gave me to try. 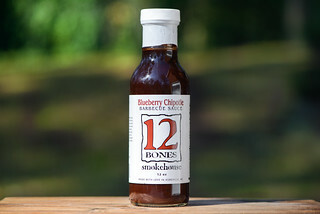 His relatively new line of barbecue sauces put the focus on fresh ingredients to build a great sauce to go with your home grilling. From what I can tell, he is still in the process of building a website to get these sauces easily to you, but if you'd like one now, that can be arranged through a special via his Facebook page. 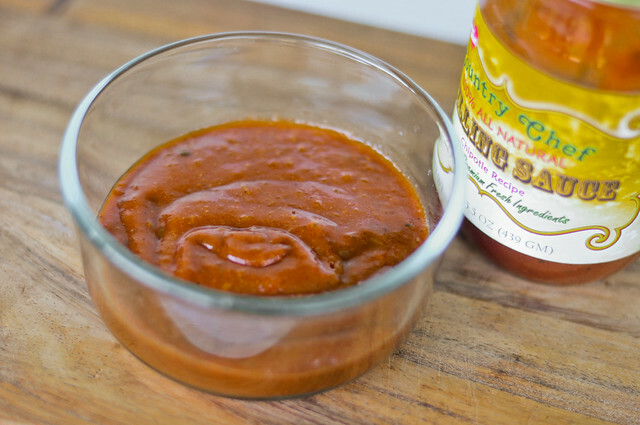 Like the original recipe, this sauce has a fresh garden aroma, with a tomato that more fruity than sweet and a strong onion and garlic component and just a light vinegar that lets you know this is a barbecue sauce. 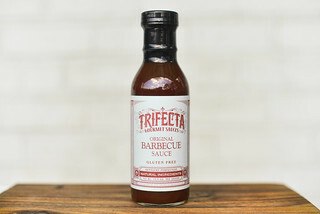 It's chipotle namesake is a little hard to distinguish in the smell, although this sauce does have an earthier, smokier quality than the original. Not differing from the original, this sauce is on the heavier side of medium and slowly falls off a suspended spoon in chunks, with a large amount of sauce remaining clinging to the utensil. There are a lot of chunks of vegetables seen in the opaque, dark orange sauce, with many spices visible as well. Much like the aroma and appearance, this chipotle recipe stays right in line with the original sauce. The garden flavors of mixed fresh vegetables still defines this sauce that has only a faint sweetness and mellow vinegar tang. The chipotle creeps in with a smokiness at first, then starts to kick with the heat as the sauce moves off the tongue. The spiciness is weak compared to other chipotle sauces, and doesn't linger, leaving the final taste about the same as what you started with. This sauce didn't see much in the way of caramelization, but did bake into the chicken well. It lent a light, fresh flavor to the chicken that retained some of the natural vegetable flavors as out of the jar, but slightly diminished. The chipotle was also more fleeting after being cooked, leaving just a whisper of heat at the end and light smokiness throughout. 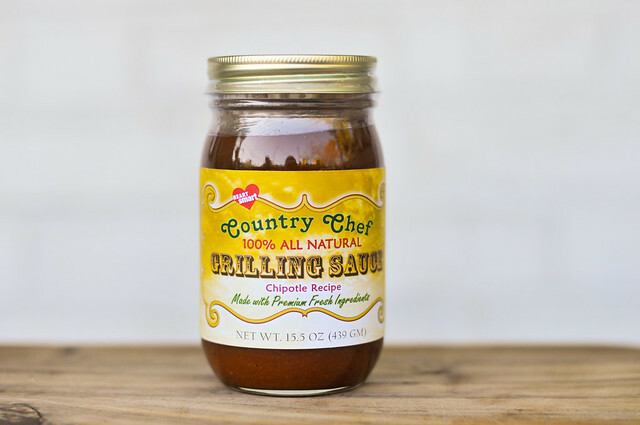 I enjoyed the Country Chef's Original Recipe for it's fresh, natural flavors, but found fault in those being a little too delicate for some uses in the world of barbecue and grilling. I was hoping this chipotle recipe would up the flavor profile enough to notch this sauce into the next category, but unfortunately the heat and smokiness of the peppers were too muted to give this sauce the additional definition needed to do that, in my opinion. 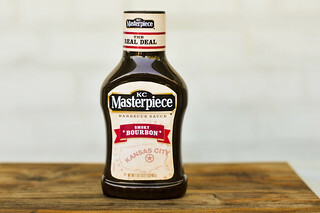 It's still a fine sauce though, especially if used as condiment for lighter meats like chicken or pork, where you'll best be able to taste the natural flavors that define the Country Chef line.